Heyyyyyy, Stockholm! “Hej!” is the standard greeting in Swedish, which – it turns out – sounds like the American friendly and informal “hey!” we give friends we know well. This both amused us and automatically conveyed a casual warmth that made us feel at home in this gorgeous city. Stockholm was our third “long-weekend-in-May” jaunt. Caveats: sorry I’ve been a bit slow on getting this post up, and the photos herein are a bit dark, given that it was mostly cloudy (=rainy) during our visit. Made up of a bunch of islands, Stockholm is simply gorgeous. The colorful buildings contrast with decorative black ironwork, and surrounded by water everywhere, it’s really a lovely place to walk around. Unless the wind and driving rain combine to make a certain family question their May traveling decisions. Kidding! I exaggerate… despite an inexplicable anti-taxi stubbornness and subsequent marathon walking days, we really enjoyed this trip. 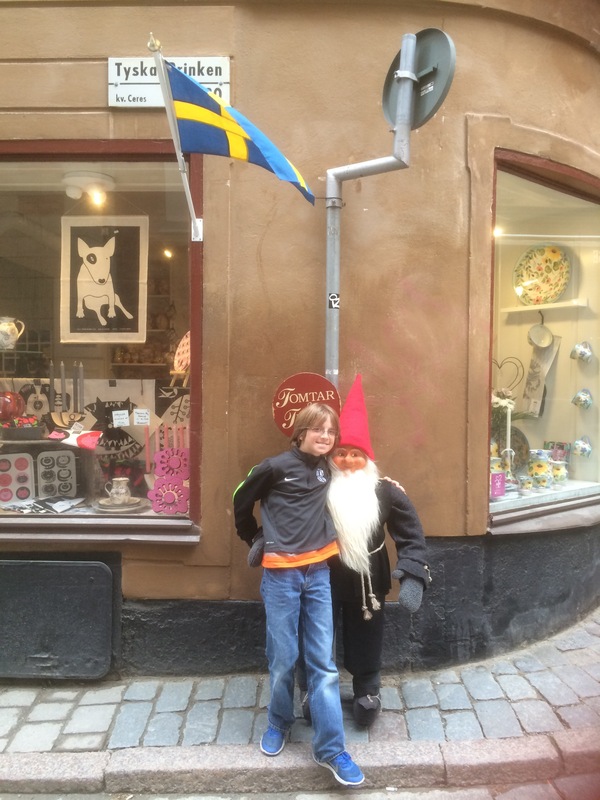 It turns out that Stockholm is a great family destination. Pre-trip reading: Stockholm is understandably proud of its Favorite Daughter (Dotter?) Astrid Lindgren, so it’s fun for your kids to (re)read Pippi Longstocking and a lesser known but personal family favorite The Tomten, about a troll that many Swedes apparently believe in. We stayed right in the middle of Gamla Stan, the old part of town, which (apparently) gets unbearably touristy later in the summer. At this time of year, though, the old town was pretty and pleasant at all times of day – and completely empty after dinner and early in the morning. For me, this made it absolutely worth it to stay there. The down side was the expense of lodging (and everything else, for that matter). We stayed at the Castanea Hostel to keep costs down, though even that was above my “goal average” of price per night – even with shared bathroom and showers. For a hostel, it was very nice and comfortable, and the location could not be beat. I could have done without the 2am comings and goings of our more socially-active neighbors, but I guess I should have worn earplugs. Our sons were especially engaged in Viking history and the Norse gods, thanks to Rick Riordan’s new series, Magnus Chase. 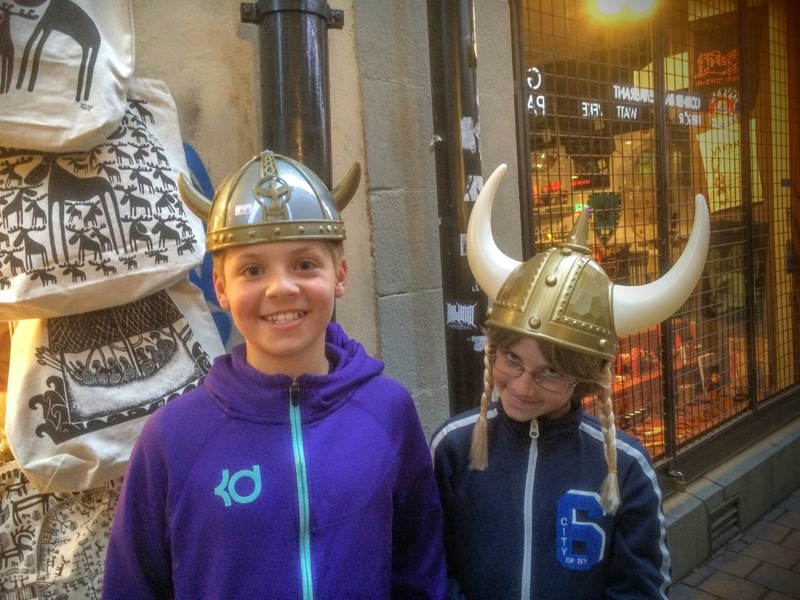 Thanks to some diligent research on PapaHatch’s part, we managed to find the very store Rick Riordan frequented for Viking kitsch, and our 12 year old happily spent a chunk of his savings on a Freya rune pendant and other Viking paraphernalia. 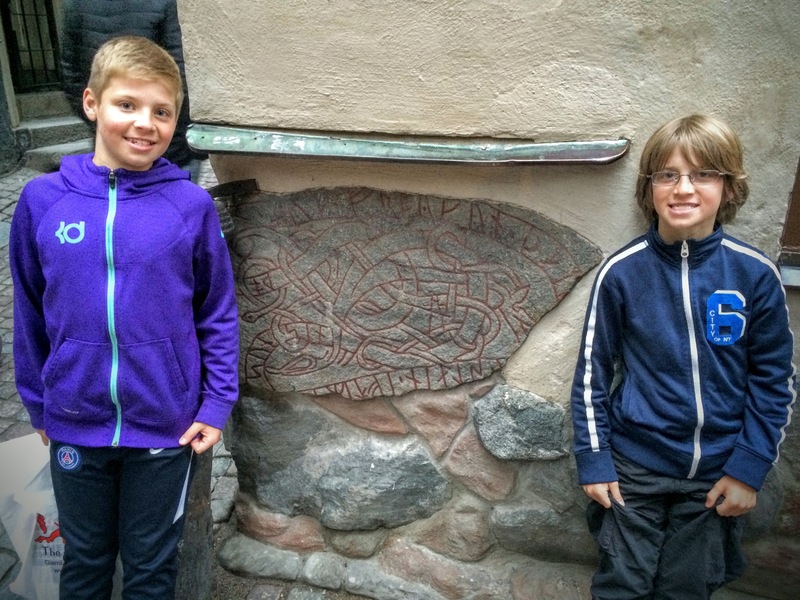 We were also able to find an 1000 year old runestone right near our hostel that many people were blithely walking by unaware. Happy boys. Rune stone right in Gamla Stan, about 1000 years old. What I enjoyed most about Stockholm was just walking around. Several Swedish people told us independently that they have two personalities: winter and summer. 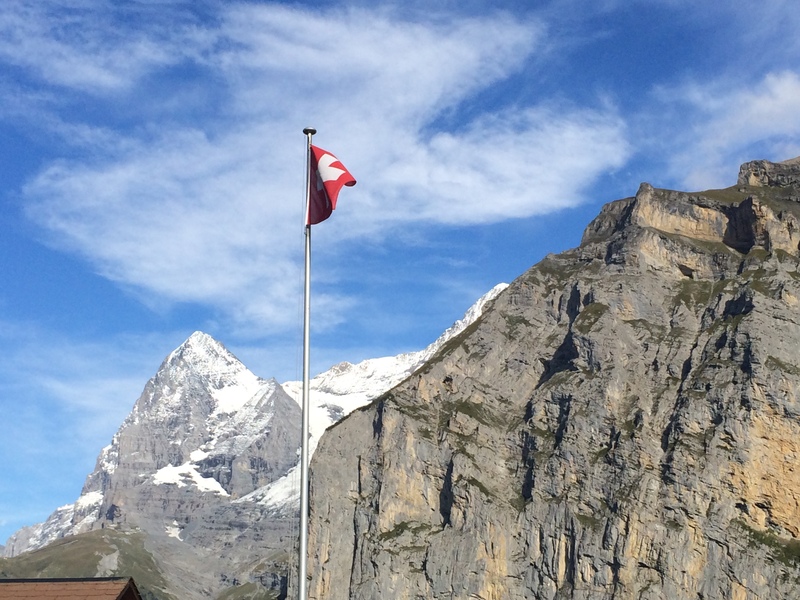 From what they described, I was happy we were there in summer – and true to their word, people were friendly and warm (“heyyyyyy!”). I loved our morning ritual of us adult folk having coffee (ok, and then going BACK for actual breakfast with the kids) at Albert & Jack’s right in our Gamla Stan neighborhood – great quality, ambiance and service. 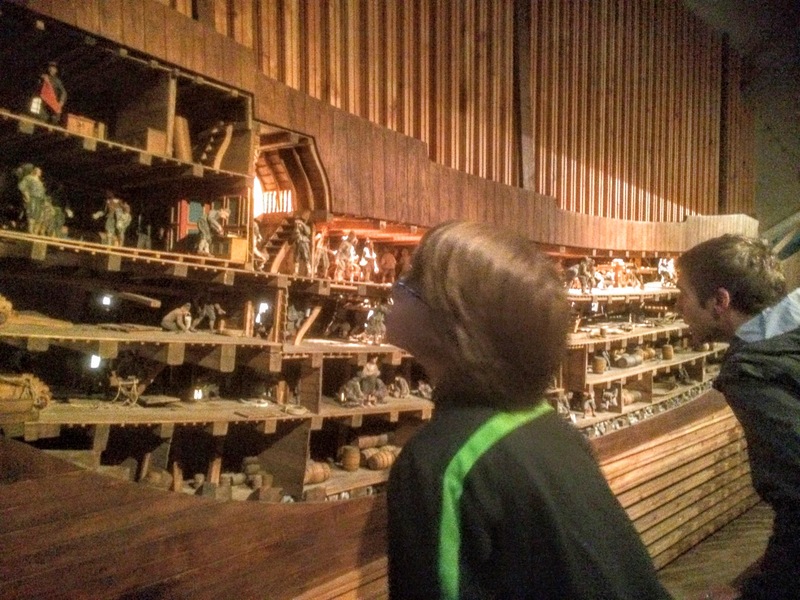 First on our agenda, though, was the must-see Vasa Museum. (As it is first on everyone’s list, though, it does get crowded, so try to arrive at opening in order to beat the bus loads.) My favorite part about this impressive 400 year old ship is the fact that if it wasn’t such a failure – sinking mere minutes after setting sail – we wouldn’t have such a wonderful specimen of history to learn from. 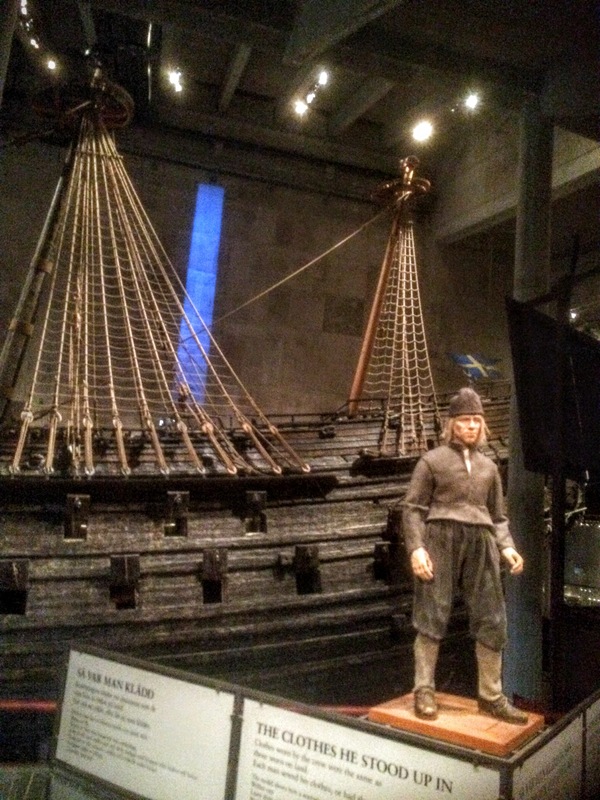 The Vasa does a great job conveying what life was like at that time and why shipping was so instrumental for Sweden and its place in the European economy. Due to weather and PapaHatch needing to get some work done, we had no real agenda per se for our first afternoon. 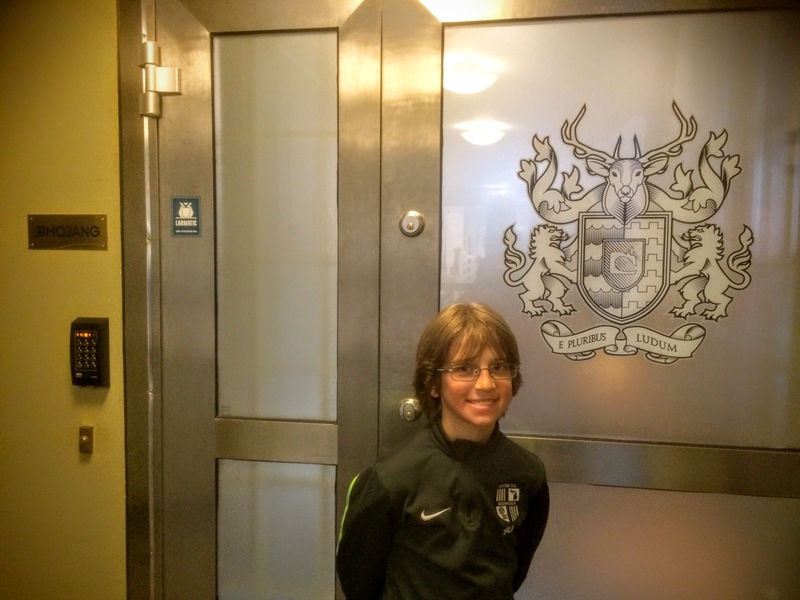 So, recalling an article from the in-flight magazine, I asked my Minecraft-obsessed 10 year old, “hey, how’d you like to take a walk with me to look for the Mojang headquarters?” He, of course, knew that Mojang is the company that creates his favorite game. His face lit up, and we set off trying to find it. Normally overly obsessed with having my phone fully charged, I’d let my guard down, and can you believe my iPhone went dead when we were 75% of the way there? Luckily, we still managed to find it (score for Mama’s sense of direction! ), but I was only able to get a brief resuscitation to get one photo. Regardless, it was a fun mini-adventure! We knocked on the door, and a sweet employee let us come in and gaze from the entryway (that’s their policy, since we are apparently not the first fans to come by!). It was fun to see where the magic happens, and I, for one, relished the mantle of Cool Mom (at least for that afternoon). 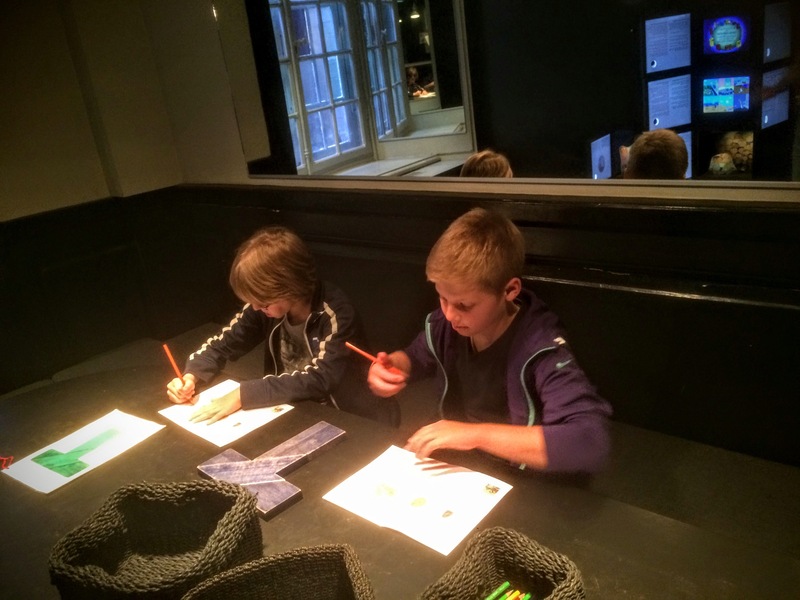 The nerve center of my kid’s universe – Mojang HQ, creators of Minecraft. 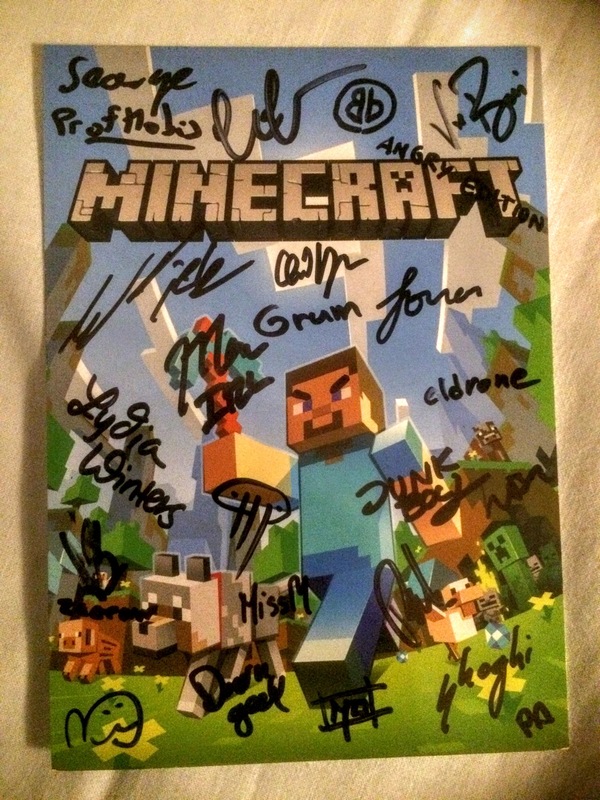 Minecraft card signed by staff – treasured by my kid. That evening, we took a “dinner cruise” out to the archipelago. Given the drizzly weather, I was happy that we’d chosen the option where we stayed and ate on the boat, rather than get out and wander around a cute village (though, honestly, I think that would have been quite nice as well). We were pleasantly surprised by the high quality of the food and service. Highly recommend! 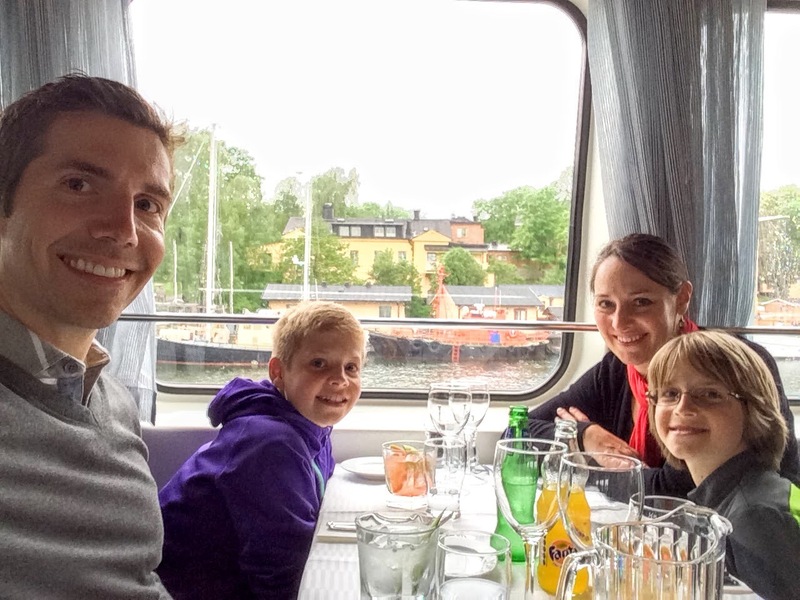 Archipelago cruise – fun, pretty & relaxing! 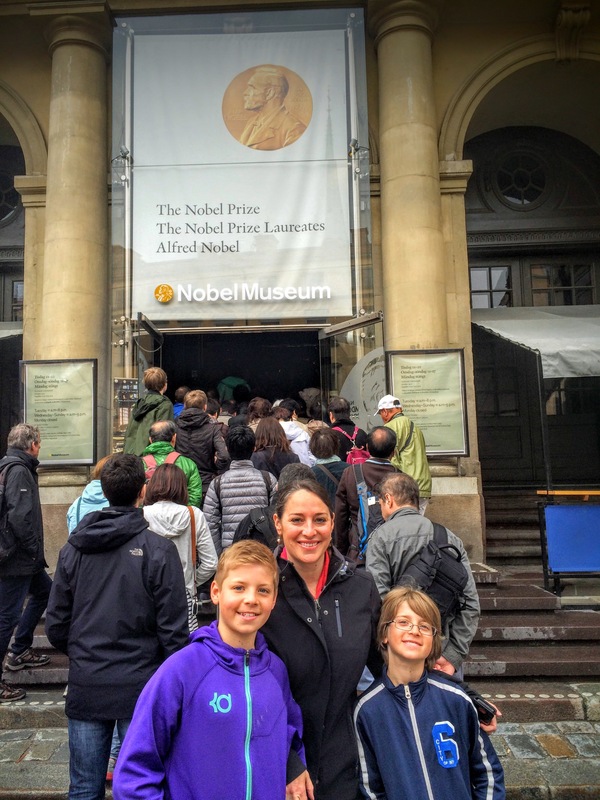 The Nobel Museum was near our hostel, and although it’s small, it is well done and worth going in – if for no other reason than to appreciate the celebration of intellectual achievement and the pursuit of peace. Inspiring for all ages, the Nobel Museum does a nice job engaging kids, and I was happy to see exhibits on some of my personal heroes, including Malala Yousafzai, Rigoberta Menchú (whom I had the privilege of meeting way back in 1995 at the Fourth World Conference on Women in Beijing) and Amartya Sen, whose work in economics highlighted the links between gender equality, health and poverty. 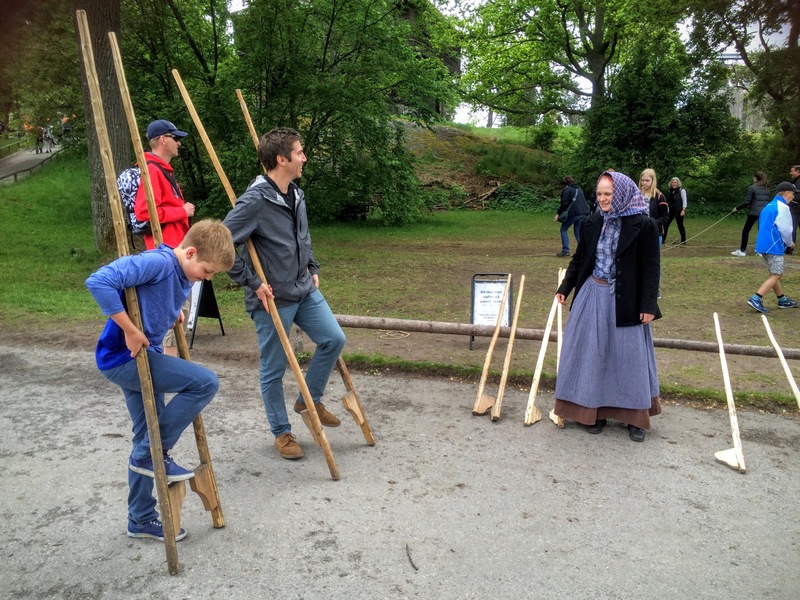 Our last day provided the best weather for Skansen, said to be the “world’s first” open-air museum. 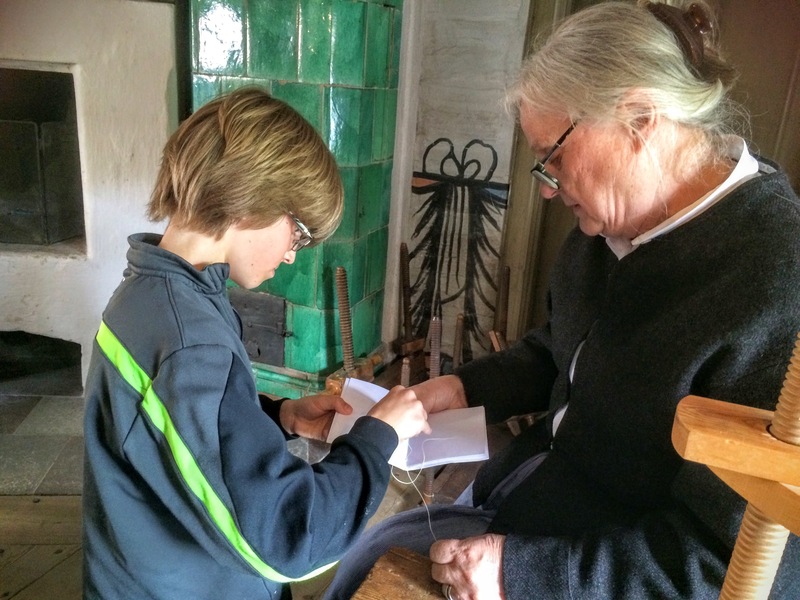 Skansen features 19th century buildings and functioning period workshops, such as a book-binder, furniture maker, glass blower, baker, and schoolhouse. 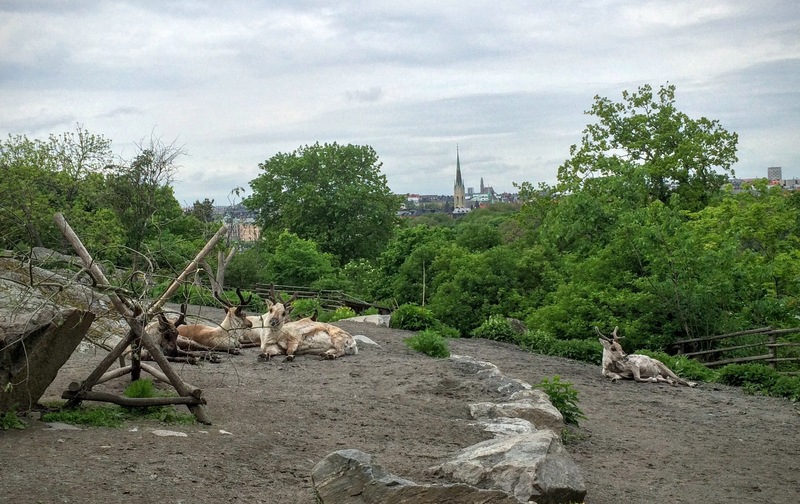 Skansen also houses a zoo with local animals. 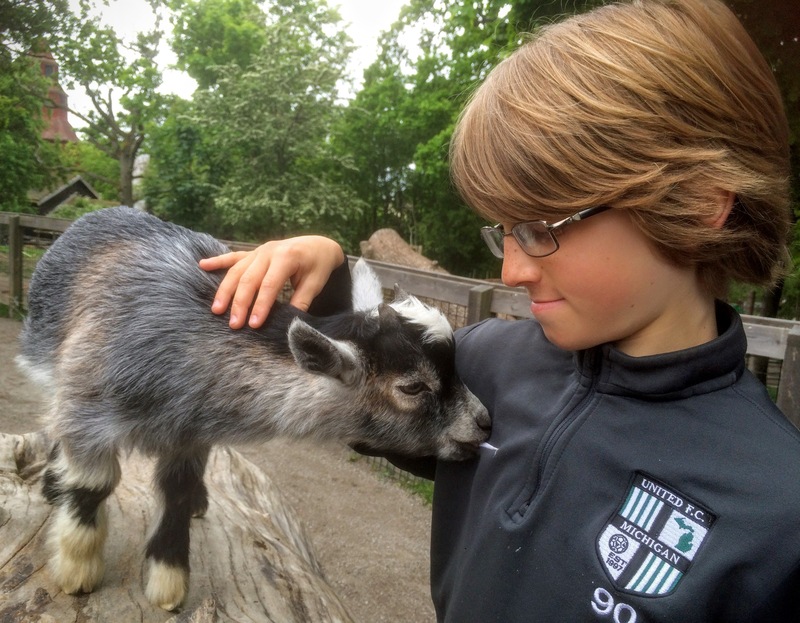 It’s a great outing for families – we all enjoyed it. Having been persuaded by positive reviews, we had our final Stockholm dinner at a Viking restaurant called Aifur. It was a little hokey but indeed a lot of fun and a decent deal – especially if you order the Swedish meatballs that aren’t officially on the menu and are always delicious. We sat next a delightful pair of sisters visiting from the U.S., so dinner conversation was a lot of fun, and it was a nice way to round out our long weekend in Sweden. In short, Stockholm, we’d love to say “heyyyyyy” again soon.